It’s a Better Time Than Ever to Choose Close to Home for Seniors’ Health Care! 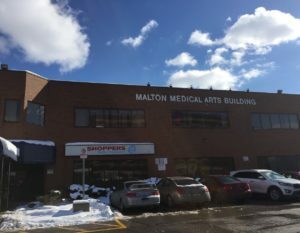 You’ve heard about Close to Home’s revolutionary health and safety monitoring system for seniors, but have you heard about Close to Home’s new Mississauga location at 3530 Derry Rd. East, Unit 207, inside the Malton Medical Arts Building? This new space is letting us bring many more medical supplies and technologies to people like you at affordable prices! As always, we are bringing our affordable home monitoring system to satisfied clients across Peel Region and the GTA. By placing discreet motion sensors in key places within seniors’ homes, our monitoring system allows loved ones and caregivers to check in on a senior’s well-being and detect falls quickly and easily. With our system, more seniors with health and mobility challenges are able to stay in their own homes for longer, reducing their cost of housing and improving their sense of security.